For my day job, I write about football for The Guardian. It’s a newspaper. People think my job is fun, they think it’s a laugh, and it’s true that at times it is. But there are occasions, really quite a lot of them, when it really does feel like work. The other night, for example. I reported on a match played between Tottenham and Hull, which went to extra time and penalties, ending at about 10.20pm. After the match I got the chance to ask the two managers whatever I wanted, and interviewed a Tottenham player for an article that was published in Sunday’s Observer. It may sound fun, but there was certainly a certain amount of stress involved in transforming an empty screen into 800 words of vaguely sensible match report over the course of a match that twisted and turned and reared and kicked, and sending it to my office in chunks so it would be ready to go online five minutes after the final whistle, and in the paper 10 minutes later. By the time I left the ground it was a few minutes before midnight. The following morning I started work at seven, and my jobs that day included reviewing the morning papers, appearing on Britain’s (And Finland’s, and New Zealand’s) most popular sporting podcast, and chatting on the phone with the great Australian cricketer Shane Warne. At no point was I having a bad time, but it certainly felt like work. For my hobby, I taste, and sometimes drink, wine. People think my hobby is fun, they think it’s a laugh, and it’s true that at times it is. But there are occasions, thankfully not that many, when it really is work. A couple of weeks back I went to the Waitrose autumn wine tasting. As a humble, unpaid wine blogger I play by my own rules, coming and going as I please, but some people, your newspaper wine writers, for example, actually have to try every wine there, in case one or more of them happens to be nice enough to include in some future column. For these people, the ones who are actually working, this is absolutely, certainly work. I respect these people like I respect a triathlete or a marathon runner. After all, it is a marathon, of sorts. The Waitrose tasting featured 89 red wines, 76 white wines, 17 sparkling wines, the same number of fortified wines, 14 sweet wines and a handful of roses, plus nine beers, four ciders and 31 assorted spirits and liqueurs. Even ignoring the other stuff, that’s 217 wines. Most of the wine columnists spent two days there. Splash, sniff, sip, slurp, spit, scribble, a couple of minutes per wine, again and again and again. Not everyone has the natural skill to do it, even fewer have the dedication to hone their skills, and fewer still have the stamina to taste a wine, to judge it, to describe it, and to move to the next one, a hundred times a day or more, and then to wake up tomorrow and do it again. I tasted all the whites that appealed, a couple of dozen reds, almost all the sweets and a handful of spirits, and then left. I was supposed to go to another wine tasting afterwards, but never made it. I’d already done enough work for that day. As it happens, Waitrose are currently in the midst of their biannual wine megasale, in which they knock 25% off the lot of ’em so long as you buy either six bottles (instore) or a dozen (online). So, given that I did all this tasting, here’s my top 10 tips, all with full, pre-discount prices. One other tip: if the wine you want is unavailable online, try Ocado, Waitrose’s grocery-delivery partners. One final tip: do it soon – the sale ends tonight! An excellent Loire cabernet franc, still with a little rusticity. 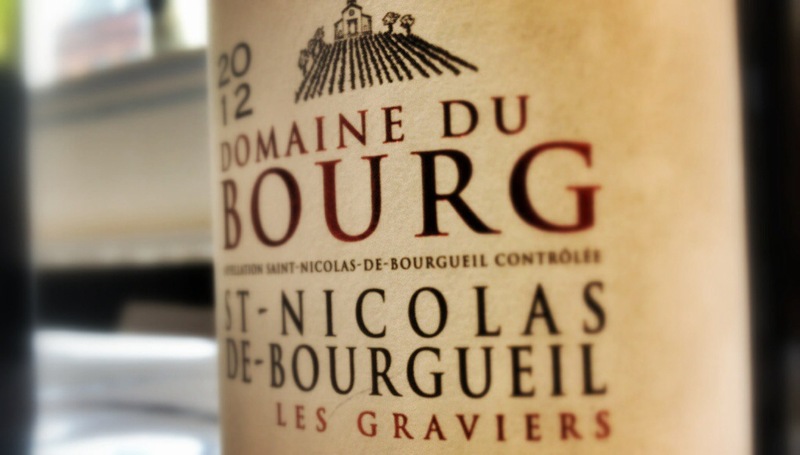 It was illuminating to try this alongside their other Loire cab franc, Les Nivières Saumur 2011, which offered a fraction of the pleasure for just £5.50 less (or £4.12 less if you’re shopping in the sale). Funnily, my bottles when they arrived didn’t look like the one at the tasting (which you can see at the top of this post). I’ve written about this recently. 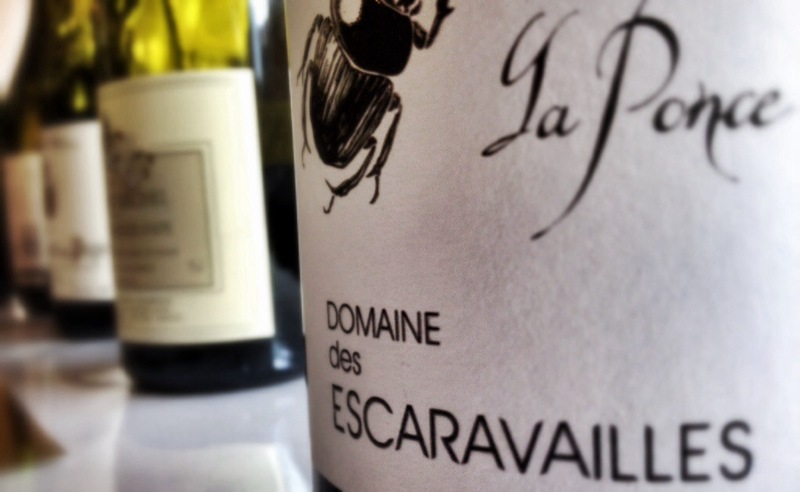 It’s an excellent southern Rhone grenache and brilliant value at £11.99, if you can find it (which to be fair I haven’t – it’s unavailable online and not listed by Ocado). This is expensive, but excellent, and I think good value at £17.24. Really well judged, from probably New Zealand’s best area for sub-£20 pinot. This smoky, blackcurrant bonanza is another £11.99 bargain. A proper wine from a top, albeit quite big, Aussie producer. Yeah, I’m not really giving you many bargains here. I know. Still, this was an excellent, dry, pithy and wildly acidic riesling that made my mouth really quite happy. This is just £8.25 in the sale, and a stonking bargain. A very Italian, herbal white wine that would go with all sorts of food but tastes just great on its own. It comes in quite a chunky bottle and sits there looking classy, and does not cease to be classy once you start drinking it. Hand-harvested, slightly appley, crisp and fresh. Just £6.75 in the sale and exceedingly good value, I think. There’s a lot of warming, ripe plummy fruit here. I just can’t see why anyone would not enjoy having this in their mouth for a while, it’s superbly and Christmasely festive and excellent value at a shade over a tenner. On the one hand, this is certainly very expensive. On the other, it means that you save a full £9 by buying it in the deal. And it repays your investment with waves of complexity. One to contemplate. Try not to think about the price, but if you really can’t get over the price, buy the 10-year-old version instead (£21.39, or £16.04 in the sale, and I must admit that’s what I did). The difference in sugar content among sweet wines is really surprising. This, for example, contains 38.9 grams of sugar per litre, making it the least sweet of Waitrose’s sweets, while the 2005 Anthemis Muscat of Samos (£9.99) has 200 grams per litre and, while pleasantly toffeeish, really needed something to cut through the sweetness, perhaps some blue cheese (though if you think about it that mouthful would basically just be salty fat and alcoholic sugar, and thus nutritionally possibly the worst thing you could ever put in your mouth). The vin santo smells delicious, tastes of caramelised orange peel and toasted nuts and compared with the other sticky options is actually positively good for you. Drop for drop, this costs about as much as the tawny port, which for me wins this particular arm-wrestle, but it’s an excellent Sauternes for a very decent price, made by Chateau Suduiraut from 30-year-old vines. On the front label, in big letters, are the words “crisp and fresh”. Inside the bottle are seven grams of residual sugar per litre, making it one of the sweeter dry wines on tasting. For me, “crisp and fresh” means “dry”, and though they certainly look better on a bottle than “flabby and full”, this doesn’t really do what it says on the tin. On the subject of wines that pretend to be something they’re not, I could also quibble about the La Umbra Chardonnay 2012, which is quite clearly pretending to be Italian. In fact it’s from Romania. 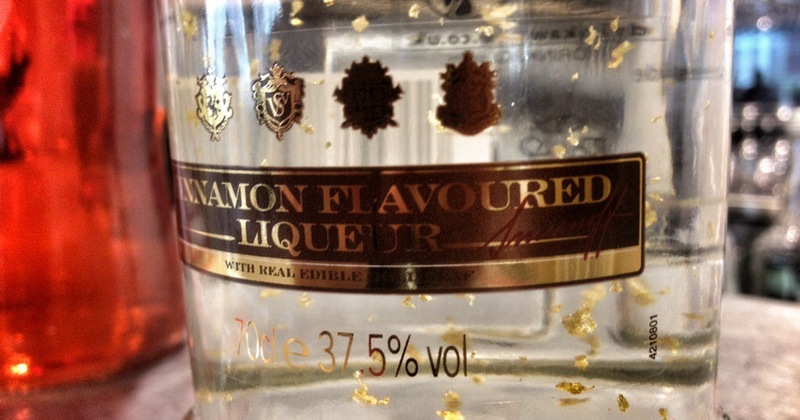 I didn’t like: Smirnoff gold flavoured cinnamon liqueur, which has gold leaf suspended in it. It looks mental, it smells disgusting, and I couldn’t bring myself to put it in my mouth. And Chase Rhubarb Liqueur, which even though it’s apparently made using actual, real, locally-sourced (natch) rhubarb didn’t particularly smell or taste of the stuff, but of medicine and random chemical sweetness. If you want a flavoured spirit, go for Stolichnaya Salted Karamel Vodka (£20.31), which smells precisely of what it’s supposed to smell of, and is quite a feat of chemistry. Would make an excellent cocktail ingredient, I’d have thought (some of the more adventurous hacks were mixing it with Baileys Chocolate Luxe for a chocolate-caramel bonanza). I take your point, but if you gotta write about something it might as well be footy and vino eh? Although I originate from Finchley (great footy, in the shape of the Arse, but no wine) I now find myself teaching Physics in Bangkok (no footy or wine but at least I can enjoy FW podcast and the sun). Previously I taught in Florence (great vino and calcio). Anyway may I suggest you try your ‘wine of saints’ (vin santo) with cantucci biscotti (a crunchy type of Tuscan biscuit made from almonds) better quality ones to be found in Italian delis but also available in supermarkets (ask AC Jimbo). Give them a good old dunk in the wine to soften them up and then enjoy the biscuit with the ‘retro gusto’ of the wine following. A great ‘desert’ and super easy to prepare, I let my missus do the mains. Another little inside tip from Italy while I am on the vino scribe. If you can track down some wines from AZIENDA AGRICOLA PAITIN a producer from Neive (Barolo zone) I think their Barbera d’Alba & Langhe represent absolute fantastic quality/price ratio. Being a science teach I can assure you I have done extensive research and have lots of empirical data. Let me know what you think. Thank you and the boyz for the essential listening that is FW, love it. Bon Natale and send my regards to Finchley.